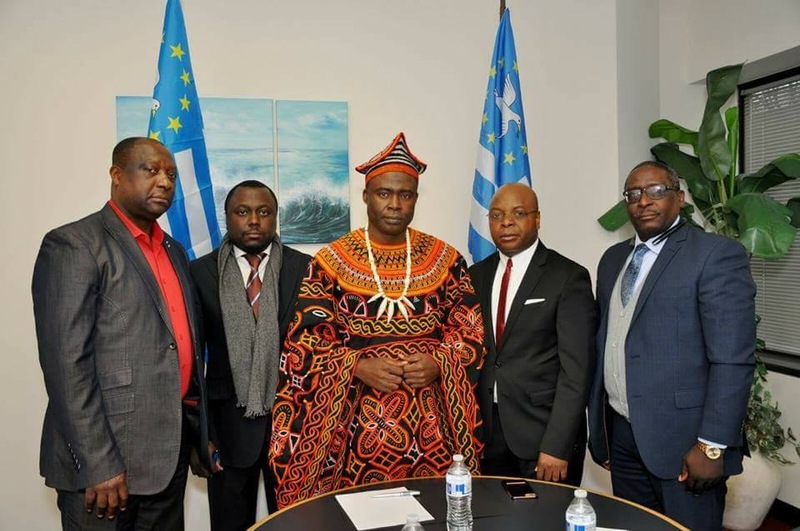 The Formation of the Ambazonia Self-Defense Council; The First Step Towards a Full-blown Ambazonian Army? On the March 20, 2018, the Interim Government (IG) of Ambazonia announced the formation of the Ambazonia Self-Defense Council (ASC), which is a constitution of four self-defense groups, that have been battling alongside other self-defense groups in the homeland to increase the cost on the occupier. The four self-defense groups that make up the ASC include ;Ambazonia Restoration Army (ARA), The Tigers of Ambazonia (TTA), Southern Cameroons Defense Forces (SCDF) and Manyu Ghost Warriors. Is this the first step towards a full-blown Ambazonian Army? The Ambazonia Defense Forces (ADF) are reported to have pulled out of the unified defense deal in the last minutes to its materialization, allegedly due to issues of the collapse of trust between its leadership and some members of the IG. This was further compounded by the fact that preliminary investigations according to sources within the AGC, reveal that the recent arrest of some of its men and women in Calabar was orchestrated by anti ADF forces within the revolution and those that allegedly betrayed President Sissiku Ayuk-Tabe and Co are still sited within the IG and have not yet been exposed. However, the leaders of the ADF, for the sake of the people at home and need to free the homeland are going to collaborate with the ASC in some and not all areas, and that shall also be discussed out of public eye. “…the establishment of the Ambazonia Self-Defense Council is a response to the call from Ambazonians for all defense bodies to collaborate and provide Self-Defense for our people, property and territory in a manner that is professional and consistent with international law. According to the defense leaders, their coming together to defend the homeland is not necessarily because of the determination to be free or to gather the necessary financial resources, but because of who we are: one people, one territory, under God, with liberty and justice for all. As noted in their joint-statement, it has been the yearning of Ambazonians genuinely committed to the freedom of the homeland, to see a sophisticated self-defense group made of all self-defense factions on the ground, working together on a common platform to marshal the independence agenda. Responding to this call from the people therefore is the right thing to do and is worth appreciating. “The cause of securing our country has just started. But tonight, we are once again reminded that Ambazonia can do whatever we set our mind to. That is the story of our history, whether it is walking out of the Eastern House of Assembly in Enugu in 1954, or the resolve to never again be a foot-stool of colonialism and imperialism, exploitation and degradation by La Republique du Cameroun on October 1, 2017; our commitment to stand up for our values, culture, independence, and to self-governance and to make our lives better.” The defense leaders further noted. The ASC, has promised all the families and victims of colonial brutality since 1961, to be rest assured that they shall get justice at the end of this revolution and this will give them comfort that the everlasting scars they now have on their bodies did not come in vain; and their love ones who died for the revolution did not die in vain. Allegiance to the heroes who bore the land with their blood shall remain the song on the lips of surviving Ambazonians after the revolution. You can form just about anything, it’s your right, but the problem is where are they going to operate? Surely not in our lovely country. You will end up just like Boko Haram as the United Nation in charge for Central Africa said. Before 1941 NW and SW were part of Cameroon and it will stay as such. You want independence you need to sit down and state your reasons. PERIOD. any boots on ground not part of the national army will be crush by all means necessary. I read pure desperation between the lines. Our forces will free Ambazonia from LRC and you can’t do anything against it. Good, united we stand. God bless ambazians. biya asked for war and really wants war. War started and biya loves it and enjoys that Ambazonians are butchered every being meek. Yes, it will unfold and also carry biya away. Like king Saul in the Bible, biya made a stupid reckless declaration. biya is free to reference Ambazonians as boko haram. The truth has a way of exposing liars like biya. Even lrc is not going to forgive biya for the pain he has caused lrc by declaring war on Ambazonia. look at the corruption that he instituted to destroy lrc. biya’s ministers and ex-ministers are fleeing lrc. Soon it will be biya himself. the hunter will soon become the hunted. We shall see how long corrupt national boots shall keep their thug of a leader going in this war he declared!! @Sunshine, you are 100% right, Cameroon worst enemy is Biya and he should be the focus at the moment. This secession is a distraction that only help Biya and his entourage. Biya is already on his knees and this is an opportunity for us to get rid of him for good and sit down for a real dialogue. All the taught talk and divisions don’t help. The whole country is sick,unless you are among the 25 to 30% of Bulu who is benefitting from the Biya’s regime, you should have any reasons supporting him. There is a real Anglophone problem in Cameroon, but there is real hope ahead and baby steps is what we need. We have been pushed to this end by an insensitive, incapable, corrupt and vicious government managed by secret societies and France. We shall die fighting for the freedom of the people. Nowhere in the world has Freedom been given by those benefiting from it. Its regrettable that AGC is always presenting divisive ideas based on naive conspiracy theories. The IG is independent of who is a member now, it is accepted so lets work with it and pave the struggle to its end. We shall correct things later. ADF is a scam. There are no real ADF forces on the ground. What they have been doing is claim responsibility for anything that happens on the ground. That way they can continue with their go fund me campaign. It is becoming harder and harder to pull off the scam. Now they are talking about collaboration. The donations will dry off very so. We setup the political front and government in less that a year, now the military front is up. Ambazonia can not be stopped.